Please see each department page on website for list of topics covered each week. The Sciences have a pivotal role in equipping learners with the skills they need to succeed and flourish in this new world of scientific opportunity, and to further enhance Scotland’s reputation as a global science leader. Our courses from S1-6 are designed to allow our learners to develop a wide range of skills - not only those which apply to the development of knowledge. 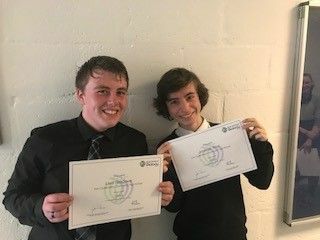 Transferable skills are of vital importance and it is our aim and responsibility to deliver innovative and integrated courses which allow all learners to access and achieve in the Queensferry High School Science Faculty. In the broad general education, S1-3 we teach Integrated Science in S1 and S2 and specialise in the discrete Sciences in S3. Details on the S3 units can be found in the subject pages of the faculty webpage. 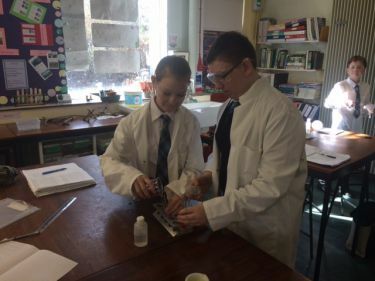 Within each unit in S1 and S2, learners will have the opportunity to develop their skills and knowledge through practical tasks and well as a range of other active learning experiences. This is key to the success of learning Science. All learners will be given a range of opportunities to develop their skills and we will assess their knowledge in a number of ways. Learners will have a say in how this happens. Homework and extended home learning/project tasks will be given to further enhance the learning experience. 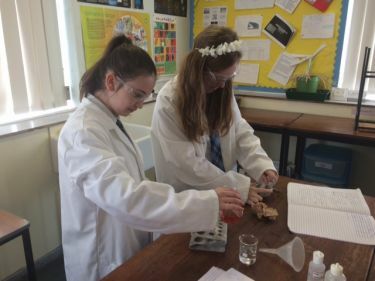 Should you have any questions or suggestions about our courses or could offer us support, particularly in the development of Careers education within the Sciences then please do not hesitate to get in touch with Miss Jessiman, Curriculum Leader of Science. Our S1 course is undergoing a full re-development in session 2016-2017. Pupils will experience a brand new, innovative course which explores Science from when the Earth began. It takes them on a journey of discovery which describes elements and their importance and introduces novel Scientific discoveries. This exciting venture will allow our pupils to appreciate Science and it's importance in our world. In the Formation of the Earth topic, students learn about the creation of the universe and the elements that make it up. They then consider the arrangement of particles in solids, liquids and gases and the difference between compounds, mixtures and solutions, as well as methods of separating these. The topic finishes with the formation of rock and how the solid surface of the Earth came into being. Our S2 course is currently being redesigned... more information to follow.